STRATA offers a distinctive urban vibe, a central location and unprecedented service and convenience. 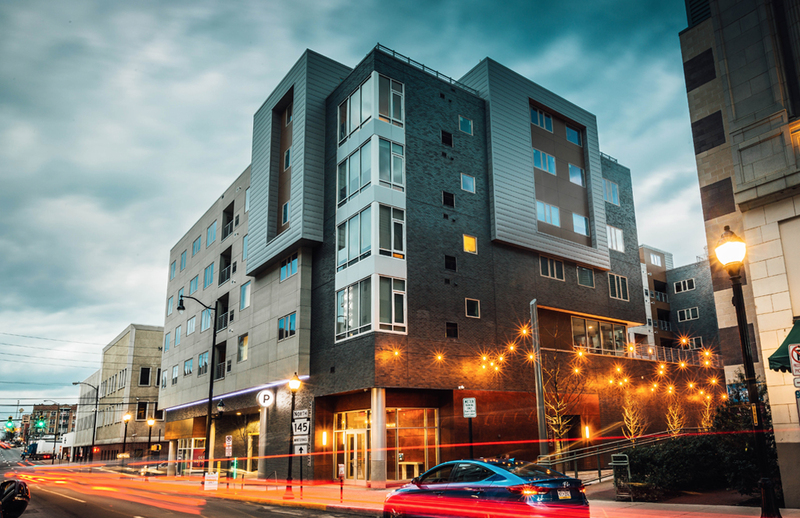 Lifestyle amenities and entertainment opportunities abound here in the heart of Allentown’s downtown revival. 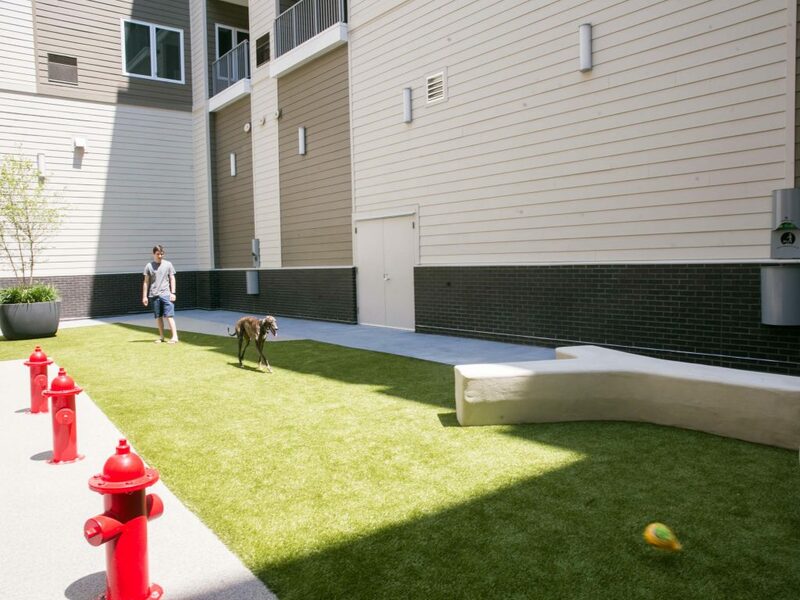 STRATA East is a five-story, approximately 100,000-square-foot building with such amenities as a game room, a TV room and a new 2,750 sf dog park exclusively for STRATA residents. STRATA Symphony is a 71-unit luxury apartment building at the edge of the Arts District. 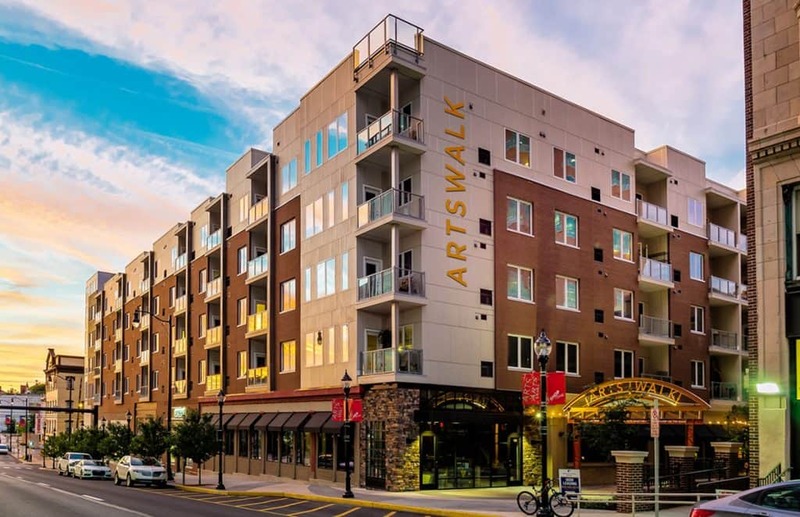 As City Center’s third downtown apartment building, STRATA Symphony offers a dozen two-story lofts with private rooftop decks and elevated courtyard overlooking the dramatic ArtsWalk. 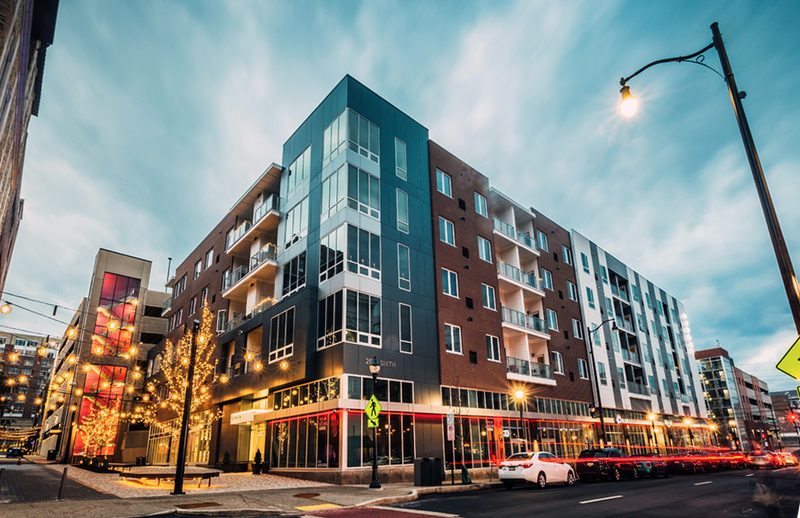 Urban living in the heart of newly revitalized Downtown Allentown, PA. Beautifully detailed apartments that offer world-class amenities, including concierge services, dramatic lobbies, public spaces, lounges, fitness centers, terraces, garden courtyards, rooftop deck and even a 2,750 SF off-leash dog park. 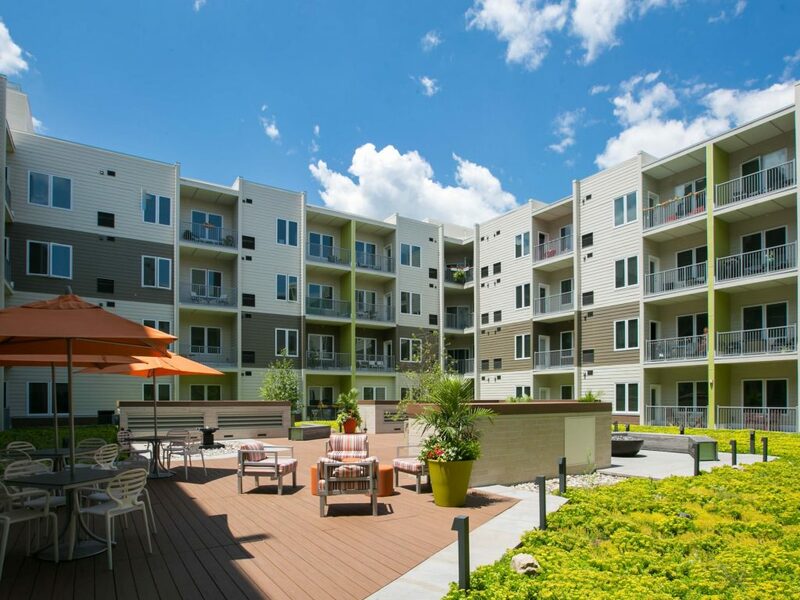 If you are looking for Allentown apartments for rent, call 610-841-2489 today to tour our community. Move Up Downtown and see for yourself. STRATA is where its at! View Full Gallery and Take a 360° Tour! Moving to STRATA was one of the best decisions I ever made. I have met so many wonderful people in the building and downtown area. When my wife and I decided to downsize and enjoy more life with less house we knew we wanted to relocate to Center City Allentown. From the initial meeting and tour until movie in and now occupancy our experience at STRATA has been exceptional. STRATA Flats has been an amazing place to live. I love the proximity to the PPL Center and the easy access to the fantastic concerts, sporting events and shows that are hosted here. STRATA Flats has exceeded all my expectations since the day I moved in. The apartment’s location, staff and amenities are unbeatable. I can’t imagine living anywhere else. Love the open floor plan at STRATA, modern touches. It feels like home. Everyone is really friendly here. You can tell people really enjoy living at STRATA and have met some great people. Living at Strata has been fabulous! The restaurants, art and numerous events are just out your front door. Want to hang in? Relax in the lounge, enjoy the view from the rooftop or get a quick workout in at the gym. Strata is a fantastic place to live. The staff downstairs works tirelessly to accommodate the needs of the residents. I wouldn't want to rent anywhere else in center city Allentown! Great amenities. Great customer service and quality building materials. Perfect spot for downtown living. My apartment is beautiful as is the entire building. Staff actually comes around to do scheduled maintenance. The location is perfect, the building is secure, and my fellow tenants are quiet and courteous. We love living at Strata because I can walk to work and many great restaurants, and the PPL Center. Our fur baby Luna, loves the puppy park, completely fenced for safe play. The management is wonderful too! 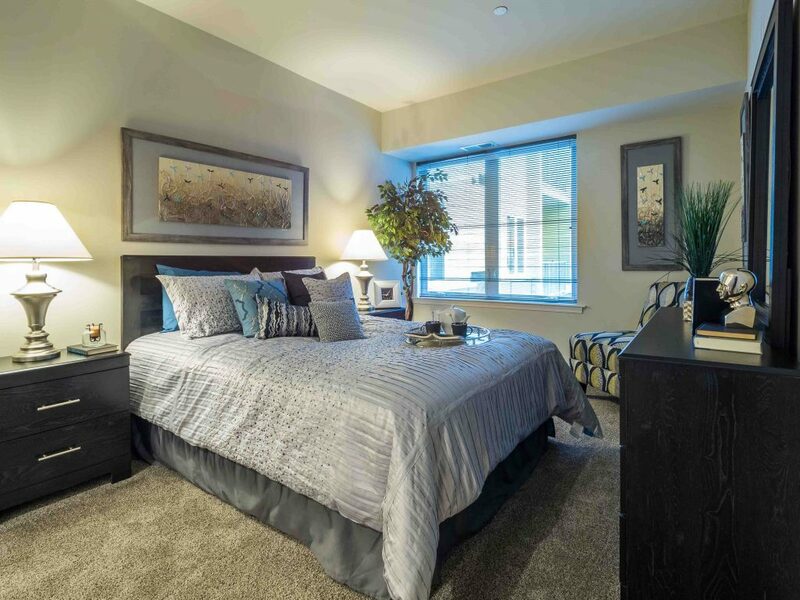 Strata is THE BEST PLACE TO LIVE IN THE LEHIGH VALLEY! 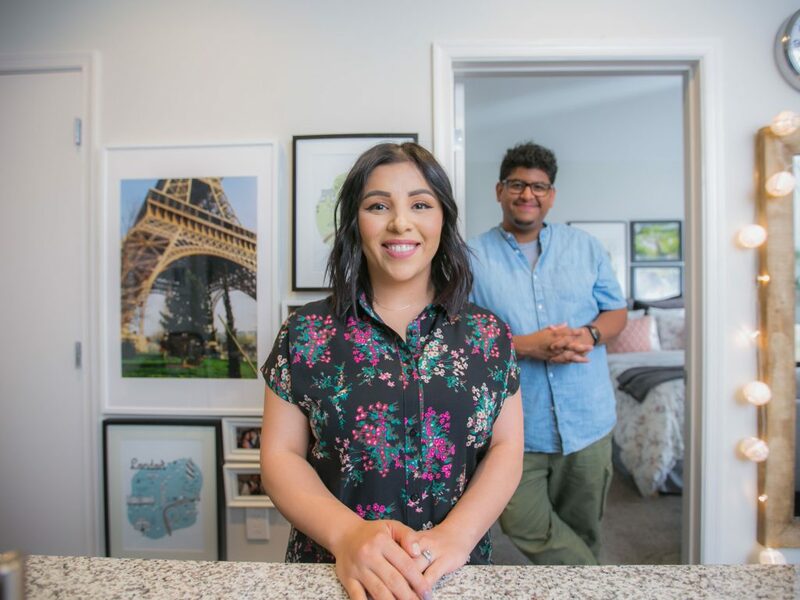 The apartments are brand new and spacious, there are SO MANY amenities including a private dog park for residents and a lounge, you are walking distance from so many restaurants and businesses.